Is Tron (TRX) Building a Decentralized Exchange for Future Tokens on its Platform? 💥 Remember my tweet about thinking Justin would probably have his own exchange?? The announcement on the Tron Super Representative page states that TRXMarket plans on working together with the other 26 duly elected SRs to build the TRON Community, maintain the healthy development of the community and contribute to the progress of the blockchain industry. It is with the above statements that it can be deduced that TRXMarket is a completely separate entity from the Tron Foundation. This furthers the notion that Justin Sun and the Tron Foundation plan on taking a hands off approach in terms of the governance of the Tron ecosystem. Once all the SRs are elected, the future of the project solely lies in the hands of the community and the SRs that represent them. Is TRXMarket exclusively for Tron future Tokens? Now the million dollar question here is if TRXMarket will be a decentralized exchange for all cryptocurrencies in the crypto-verse, or will it be specifically for Tokens created on the yet-to-be-complete Mainnet. 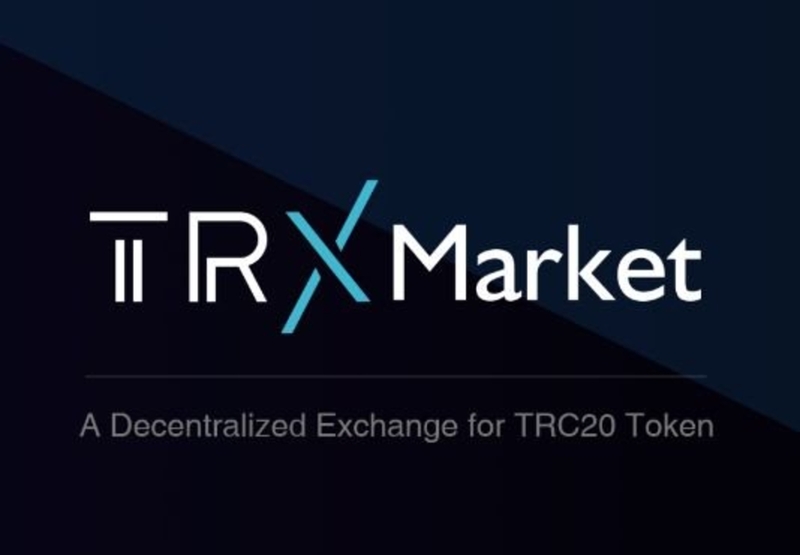 The picture provided with the logo of TRXMarket states that it is a decentralized exchange for TRC20 tokens. The TRC20 protocol is part of the TrustNote’s first minable DAG (Directed Acyclic Graph) public ledger. TrustNote provides a solution for tokenized applications and microtransactions that is fast, easy to use, low-cost, and scalable. The TRC20 standard makes it easy for anyone on any device to issue and transfer their own tokens. From this last phrase, we can deduce that ICOs and unique tokens on the Tron Network are a possibility in the future. With TRX Market becoming a Super Representative, these TRX based tokens will have a Decentralized exchange for trading. Perhaps a clarification on how the TRXMarket Decentralized Exchange will operate will be provided with time and after they accumulate enough votes to become Super Representatives on the Tron Network. What is known from the above research, is that it is not directly associated with the Tron Foundation or Justin Sun.